My best friend is hung… too bad he’s an a**hole.Henry broke my heart years ago. I never forgave him for what he did.But now I have my dream job, and it turns out we’ll be working together.He’s even hotter than I remembered. And he still wants me.I need to resist that delicious jerk’s charm.What a huge mess. Back in high school, we were inseparable. Henry was my best friend and a little bit more.But he broke my heart. One day we were close, and the next he was ignoring me in the halls.Fast forward ten years. I just landed my dream job working for an online news organization. It’s my chance to report on serious issues.Except I’ll be working very closely with Henry.He’s the producer on my first story. I never thought I’d see him again. But he’s back, and he’s all grown up: cocky grin, muscular body, hands that have a ton of experience. I can’t stop picturing all those nights we used to undress each other in the dark.I need to keep it professional. But Henry isn’t making that easy.He wants me again. And he’s not being subtle about it. 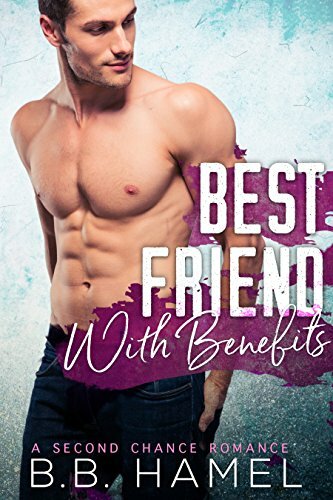 If I give in to him, I know I’m going to need more than just one night.I’m in for the best mistake of my life.Best Friend With Benefits is a steamy romance with hot scenes and bad language. It’s only recommended for readers 18+. Best Friend With Benefits is a STANDALONE, full-length novel. No cliffhanger. Guaranteed HEA! !